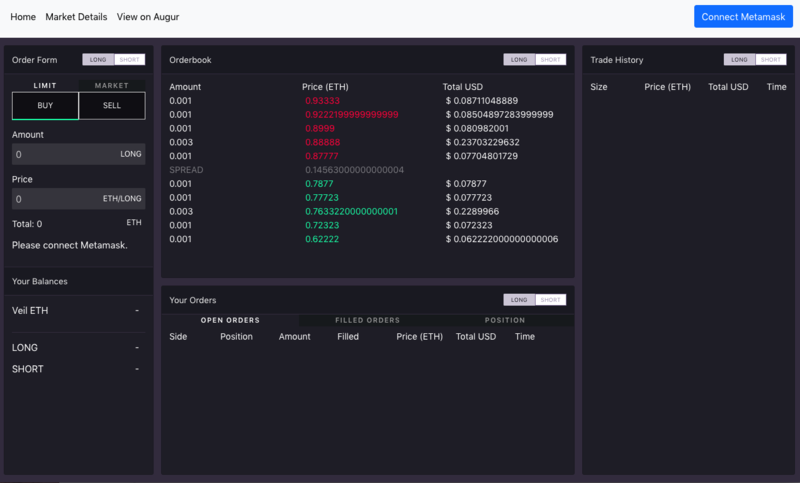 A 0x relayer for volatility markets on Augur. 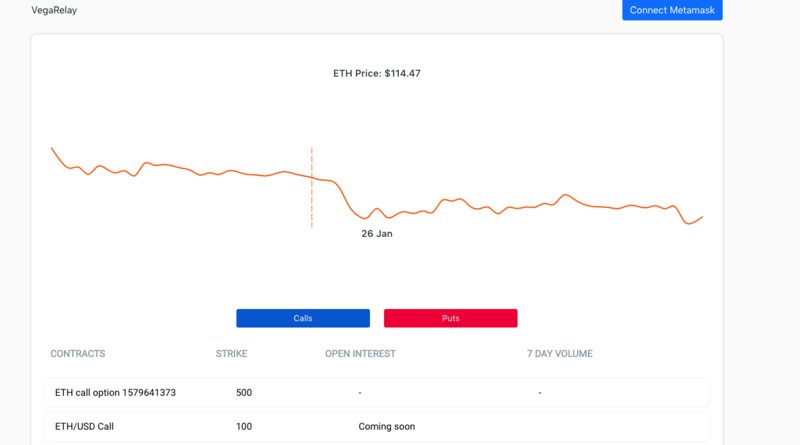 Users can purchase share tokens in a contract market to speculate on/hedge against the price of the underlying asset at the contract’s expiration. We didn't have a great designer on our team so we kind of just "borrowed" designs from Veil and Expo. Will be redoing UI/UX for the official VegaRelay.